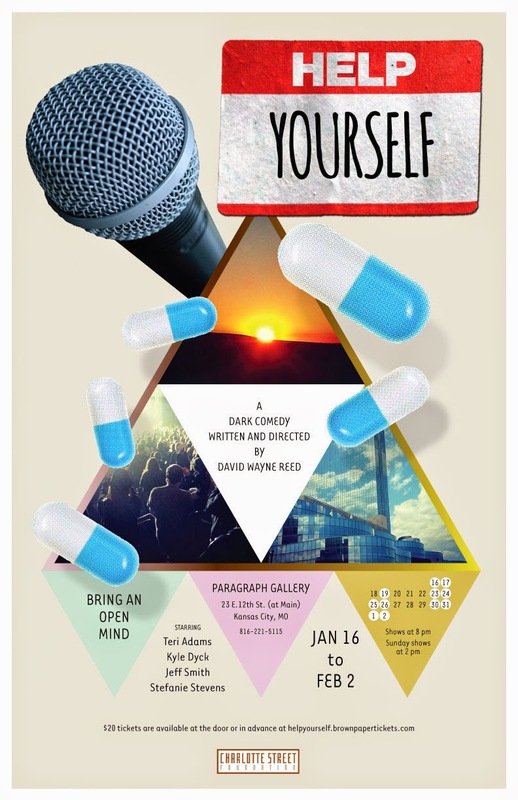 "Help Yourself," a new play by David Wayne Reed, is a dark comedy opening at Charlotte Street’s Paragraph Gallery on January 16, 2015. The play depicts the impact of a self-help seminar delivered by guru Gabe Newland on a group of attendees, drastically changing their lives over the course of a weekend. Help Yourself explores the infinite economy of self-help, restless ambition, and the aftermath of personal change. The show stars Teri Adams, Kyle Dyck, Stefanie Stevens and Jeff Smith. David Wayne Reed directs. TICKETS: $20 http://helpyourself.brownpapertickets.com/ There will be tickets at the door (when available).